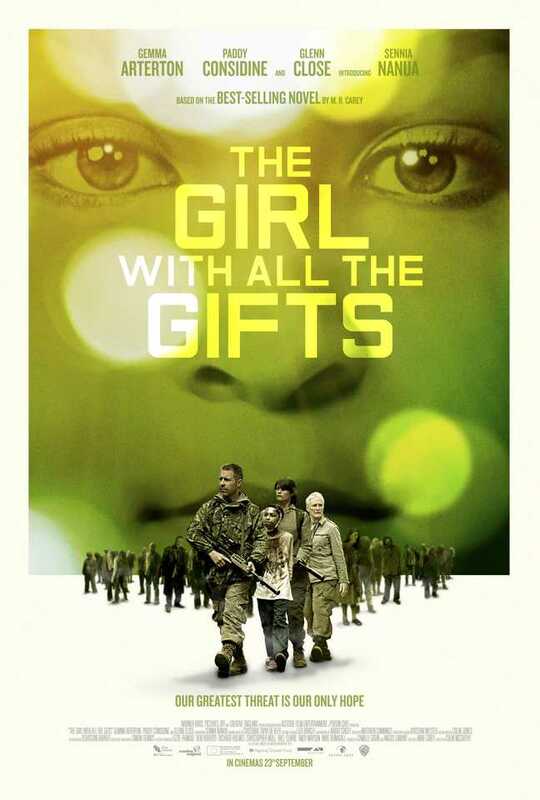 Please see the below for a press release sent out this morning, giving more exciting news on the upcoming film version of M. R. Carey’s THE GIRL WITH ALL THE GIFTS (UK | US | ANZ). 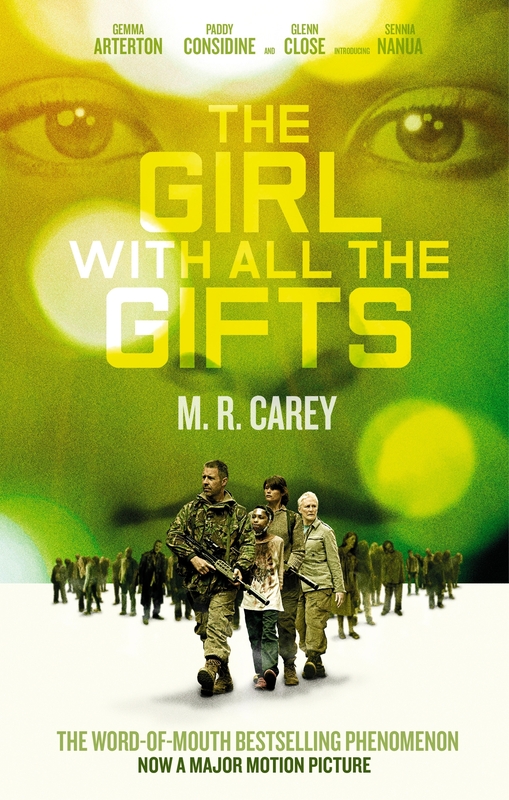 SHE WHO BRINGS GIFTS is a post-apocalyptic zombie thriller adapted by acclaimed novelist M.R. Carey from his best-selling novel ‘The Girl With All Gifts’. The highly anticipated feature from Colm McCarthy, produced by Camille Gatin and Angus Lamont will start shooting on 17 May in the West Midlands. 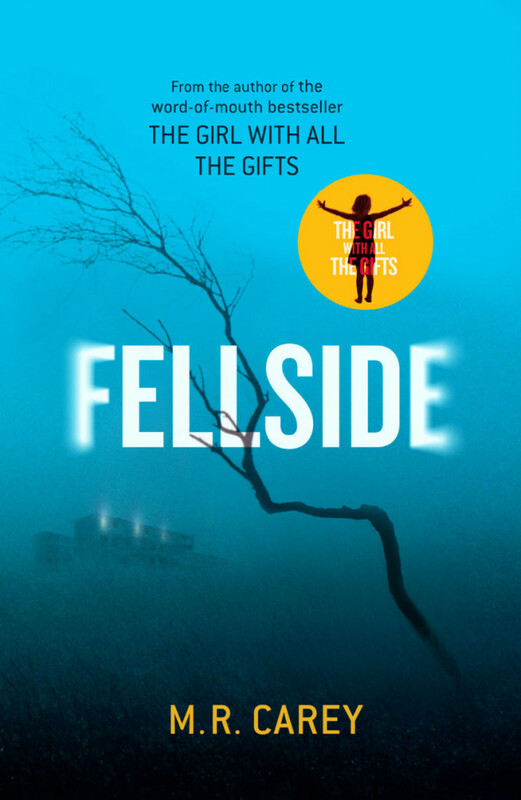 Funded by the BFI Film Fund, Creative England and Altitude Film Entertainment the film is being sold internationally by Altitude Film Sales. The film will be distributed in the UK by Warner Bros. Pictures, a Warner Bros. Entertainment Company. SHE WHO BRINGS GIFTS takes place a generation after the world has ended. Four adults and a unique child will decide the fate of humanity. Newcomer Sennia Nanua will take the leading role. Also joining the cast are Anamaria Marinca (Fury, 4 Months, 3 Weeks & 2 Days, Europa Report), Fisayo Akinade (Cucumber, Banana and Ordinary Lies), Anthony Welsh (Starred Up, My Brother The Devil) and Dominique Tipper (DMX, Vampire Academy, Montana, The Expanse). The newly confirmed cast join Gemma Arterton (The Voices, Tamara Drewe, The Disappearance of Alice Creed), Paddy Considine (acting roles include the upcoming Macbeth, Pride, also the director of BAFTA award-winning Tyrannosaur), and the multi-award winning and six-time Oscar® nominated actress Glenn Close (who recently completed a run on Broadway in A Delicate Balance and will soon be seen in Anesthesia and The Wife. Creative England has announced support for the film through its West Midlands Production Fund, which supports feature films and high end TV drama from companies based in the West Midlands, or from producers looking to film in the region. In the last three and a half years the organisation has invested over £9 million in film projects and is backing She Who Brings Gifts alongside the BFI Film Fund. 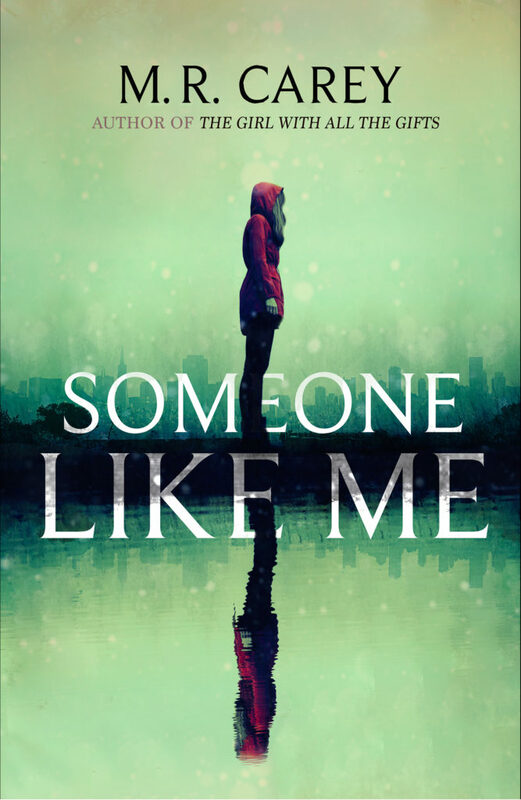 Following on from the successes of Glenda Larke and Trudi Canavan in two important Australian fantasy awards, we’ve also had fantastic news regarding two UK SF awards. Today, the shortlist for this year’s Arthur C. Clarke awards has been announced. 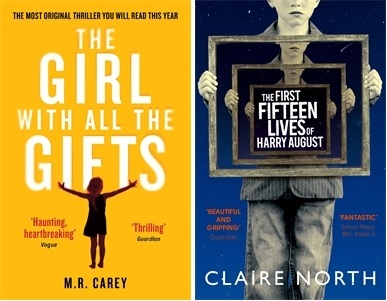 Both THE GIRL WITH ALL THE GIFTS (UK | US | ANZ) by M. R. Carey and THE FIRST FIFTEEN LIVES OF HARRY AUGUST (UK | US | ANZ) by Claire North are amongst the six titles nominated for this prestigious prize. The winner will be announced at the awards ceremony on 6th May 2015. 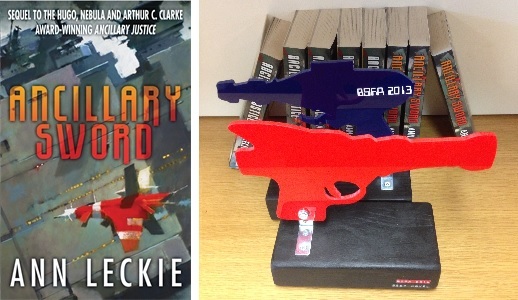 On the weekend, ANCILLARY SWORD (US | UK | ANZ) by Ann Leckie also won the BSFA award for Best Novel, voted on by members of the British Science Fiction Association and Eastercon. Ann Leckie’s first novel ANCILLARY JUSTICE (US | UK | AUS) also won this award last year, (along with every other major SF award in 2014!). Here are both of Ann’s raygun-tastic awards looking all nice and shiny together . . .
Congrats to Ann Leckie, Claire North, M. R. Carey and all the other shortlisted authors! 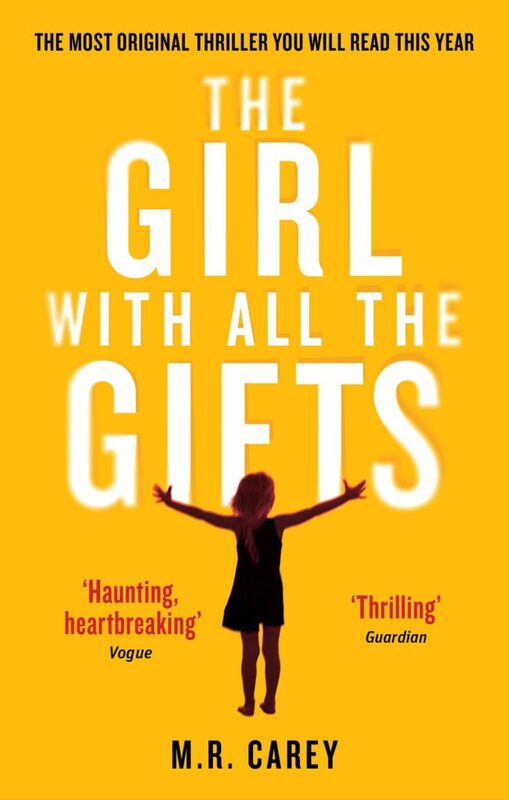 Orbit is incredibly proud to announce that M. R. Carey’s THE GIRL WITH ALL THE GIFTS has been shortlisted for the James Herbert Award for Horror Writing. Published globally last year, THE GIRL WITH ALL THE GIFTS went on to become a paperback bestseller in the UK and was selected for the Waterstones Summer Book Club. 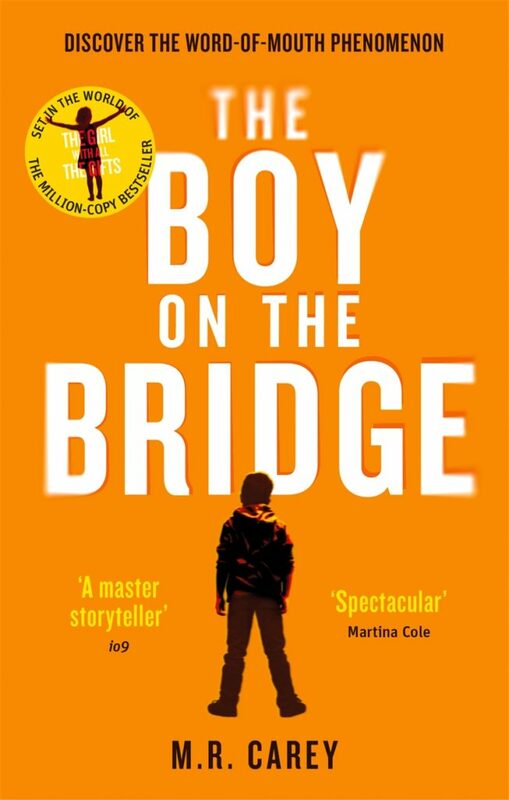 It has gained high profile fans across the world, from screenwriter Joss Whedon to bestselling crime author Martina Cole, and has sold over 200,000 copies across editions to date. 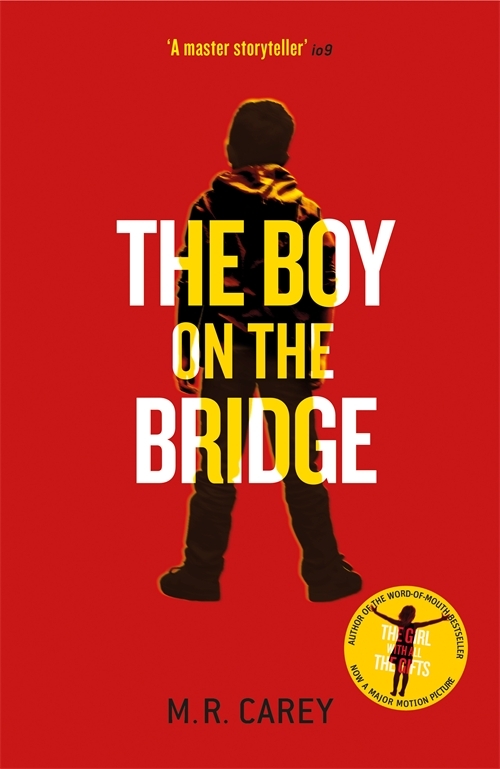 The US paperback edition will be published in April 2015. The prize, which is awarded annually, aims to discover and publicise a new generation of horror authors and celebrate the boldest and most exciting talent in the genre. The winner of the 2014 prize will be announced at a ceremony in central London in March 2015. 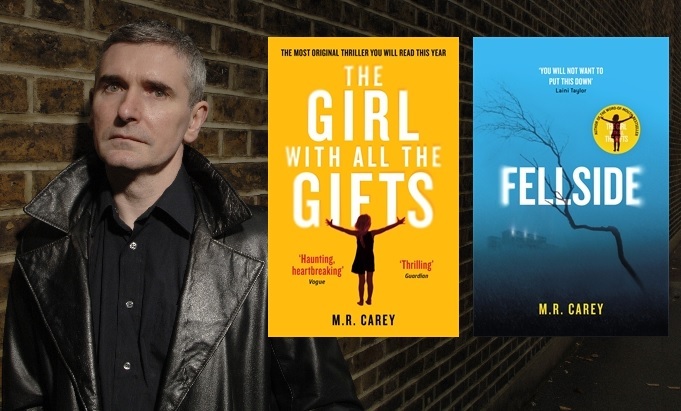 Congratulations to M. R. Carey, and to all the shortlisted authors!